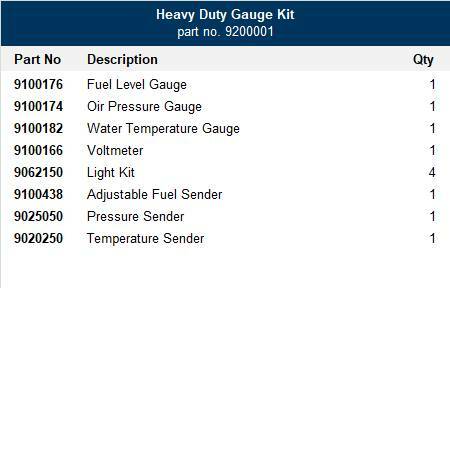 This heavy duty gauge kit is comprised of four electric gauges that will measure and display a vehicle's or equipment's engine performance. The rugged design of these gauges make them perfect for any heavy-duty application. Includes 2-1/16" water temperature, oil pressure, fuel level and vol meter. Kit includes all necessary senders, sensors, lights with sockets, mounting hardware and installation instructions.